It’s not uncommon for people to try their hand at doing some quick DIY plumbing jobs in their home. There are many small plumbing jobs that can be done yourself without needing to call out a professional. While there are some circumstances where a professional is best, if you’ve had a plumbing issue that you want to try and fix yourself, there are some easy DIY mistakes to avoid that could save you time and money. If you’re about to undertake a bit of DIY plumbing, make sure to avoid these mistakes. There’s a reason why plumbers exist. Some plumbing issues simply can’t be fixed without the proper knowledge and skill that plumbers need to have. If you’re doing some DIY plumbing around the house, you should understand that you won’t be able to do it all yourself. There are some circumstances where you can successfully fix problems yourself, but if you don’t know what you’re doing you can quickly make a small, easy to fix problem much worse. Repairs and replacements absolutely shouldn’t be attempted by anyone other than a professional. Leaks can be a sign that some major work is needed to be seen to and attempting to fix this yourself could lead to flooding your home or causing major damage to your plumbing. We advise that anything more than unclogging your pipes or replacing your shower head at home should be done by a professional plumber. 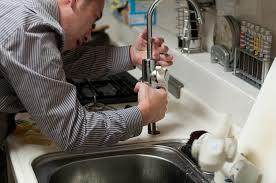 A professional knows that any plumbing work undertaken in your home can’t be done until the water supply is turned off. This seems obvious, but you’d be surprised how many people don’t remember or think about this simple step before starting a plumbing job. Turning the water off can be an inconvenience, especially if you have a busy household that needs use of the shower, the taps or appliances that need water. Many others think they can avoid this inconvenience by leaving the water on, assuming that a small plumbing job doesn’t require the water supply to be off. However, leaving the water on runs the real risk of serious water damage in your home, or even flooding. This can not only lead to serious damage of your property and your plumbing, but will likely cost more to fix than if you’d simply called a plumber in the first place. No matter what your plumbing issue is, how big or how hard it may be, if you don’t have the right tools for the job you’re likely to run into trouble. If you don’t have the correct tools for the DIY plumbing job you plan to undertake, you’ll end up either damaging your plumbing by attempting to use something unsuitable, or you’ll just make your life incredibly hard and cause lots of frustration. Your family won’t thank you for causing extra stress or damage to the home, and you could even make the problem worse and prolong the inconvenience. A plumber has all the tools necessary to complete any type of plumbing job required and will be trained to use them, making the job quick and easy. Whether your heating or plumbing is broken or is in need of a service, Mirage Heating & Plumbing supplies will have the part or the tools you need. We can supply and fit a variety of plumbing parts, including boiler spares, faucets and shower heads. We have a dedicated team of specialists who can help you get your home back up and running, whether you plan to do some DIY plumbing or call a professional in. If you’re looking at using our services or other products, please do get in touch. Fill out a contact form or call us on 0208 767 9922.